On many fronts we’re excited to bring you our Fall issue of Evergreen News. As we were planning for it, it struck us that this past Summer should have been called “the Summer of Champions.” The NHL and NBA finals, the US Open, Wimbledon, World Cup, British Open, Tour de France . . . and more. Competing in sports and business has everything in common with building an organization, creating a culture, dealing with adversity and much more. This is Mike Gill. I am the Chairman of Evergreen Advisors. I’m here with John Schuerholz and Bill Miller. 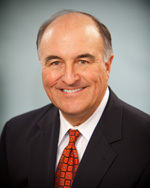 John Schuerholz is president of the Atlanta Braves and has been since 2007. He was GM for 17 years prior to the promotion to president. Prior to that, John was with the Kansas City Royals for 22 years, 9 as General Manager. John has been involved with three championship teams: the ‘85 Royals, ‘95 Braves, and our hometown Baltimore Orioles in 1966. 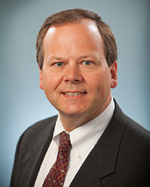 Bill Miller is Chairman and Chief Investment Officer of Legg Mason Capital Management. Bill co-managed the Legg Mason value trust fund since its inception. From 1991 to 2005, the value trust beat the S&P 500 15 consecutive years. Smart Money called Bill Miller among the top 30 most influential people in investing. Money magazine called Miller the greatest money manger of the 90’s. I want to start this interview off with a Lou Holtz quote which I think is fitting because what brought us together was this incredible streak between 1991 and 2005 of two individuals in their respective industries. It might be fair to say that it won’t be topped again. But Lou Holtz said something along these lines, “I’ve been on the top, I’ve been on the bottom and I’m probably gonna be in both places again”. Let’s talk about the streak for just a couple of minutes. It’s been well over twenty years since Gregg Smith, a kid out of Westfield, NJ, was in the goal for St. Mary’s College of Southern Maryland’s lacrosse team. “It was,” Gregg said, “win or lose, I’m the goalie.” It was that experience and the lessons learned that launched Gregg onto an incredibly successful and exciting business career. The young kid from New Jersey with a lacrosse stick has come a long way. He has a beautiful nineteen year old daughter, Kelsey, and a legion of people who he has touched inside and outside the business world. 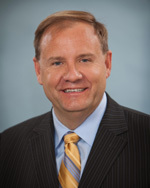 Mark is a Vice President in Evergreen’s CFO Advisory Services Group. He’s had a terrific career with over twenty years of operating and financial expertise in venture backed, closely held, and public companies. Mark and his wife Mary Clare, and their three daughters, Amanda, Laura, and Olivia reside in Elkridge. He is a member of the Board of Directors of St. Augustine’s School in Elkridge as well as a member of the Maryland Association of CPA’s. As Rick and I talked about our spring Newsletter, our thoughts kept bringing us back to “March Madness.” Sports metaphors and sports as a learning, growing, teaching experience energize us and encourage us to aspire to greatness. At Evergreen, we love March Madness and what it represents. In this issue we’re going to do our best to “connect the dots” on the characteristics of March Madness and how we experience them everyday in our professional lives. We’re especially excited about our “Guest Q & A” which will feature Head Coach Gary Williams of the University of Maryland Terrapins. Gary is an amazing person. He embodies all the characteristics of a Champion. He is a young “65” (March 4th). When the day comes and “Coach” has taken his suits to the dry cleaner for the final time, he will be praised and recognized as one of the greatest coaches in the history of college basketball. It’s been almost 40 years since Gary first cut down the net as head coach at Woodrow Wilson High School in Camden, NJ. It was his first head coaching job as he led the team to the state title and a perfect 27-0 season. Thanks, Coach. Our special guest for this March Madness edition of Evergreen News is Gary Williams, Head Basketball Coach for the University of Maryland Terrapins. As Gary prepared to take his team into the 2010 NCAA tournament, Mike Gill spoke with him about his experiences in such a compeitive environment. We hope you’ll enjoy the conversation. Maryland’s Gary Williams is among the most successful basketball coaches in ACC history. Despite having one of the most animated and volatile sideline presences in college basketball, Williams has never received the full measure of appreciation his accomplishments merit. Only two coaches in the ACC’s 57 years, North Carolina’s Dean Smith and Duke’s Mike Krzyzewski, have amassed more victories than Williams’ 202 in ACC competition. Now in his 21st season at College Park, he has 441 wins at Maryland, more than anyone in school history, and 648 career victories through March 11, 25th all-time among Division I coaches. Williams, who turned 65 on March 4, is among seven ACC coaches who have won a national championship (in 2002) and among seven who have made repeat trips to the Final Four (2001, 2002). His team won an ACC Tournament in 2004, and he led the Terrapins to first-place league finishes in 1995, 2002 and 2010. His Maryland teams have won at least 19 games for 14 consecutive seasons. Williams’ Maryland team fell just short of completing a comeback attempt against Michigan State which led to a second round exit during this year’s NCAA tournament. Entrepreneurs exhibit various leadership styles in their businesses. Some are hierarchical and imperial. They are the boss and everyone knows it. I have heard that a current public leader has told subordinates that he does not pay them to think or have opinions; he pays them to do what he tells them to do. I recently observed a discussion with another entrepreneur who was protesting that someone was discussing an issue with his “people.” He summed up his style by saying: “I have no people, there is only me. I am the only one in my organization that makes decisions.” The business he runs is a multistate chain of distribution outlets. Neither of these organizations seems like it would be a fulfilling place to work for most of our readers. The onset of March Madness seems like an appropriate time to focus on another style of leadership that is displayed on the hardwood – point guard leadership. The role of the point guard is to implement the coach’s game plan. He or she provides leadership in the midst of the chaos of competition by controlling the tempo of the game and distributing the ball in a fashion that plays to the strengths of teammates. Point guards are seldom the team’s biggest star and usually do not lead the team in points scored or rebounds. They also are not typically the one to take the last second shot, but their leadership is critical on the outcome of the game. This month’s interviewee, Gary Williams was a point guard during his playing career at Maryland and is one of many former point guards to succeed at the coaching level. Most talented people would rather work in an organization that is led by someone who leads like a point guard. Someone who distributes responsibility, plays to people’s strengths, gets tasks to the appropriate people at the appropriate time and who is motivated by the team’s ultimate success rather than personal recognition. How do you lead – emperor or point guard?